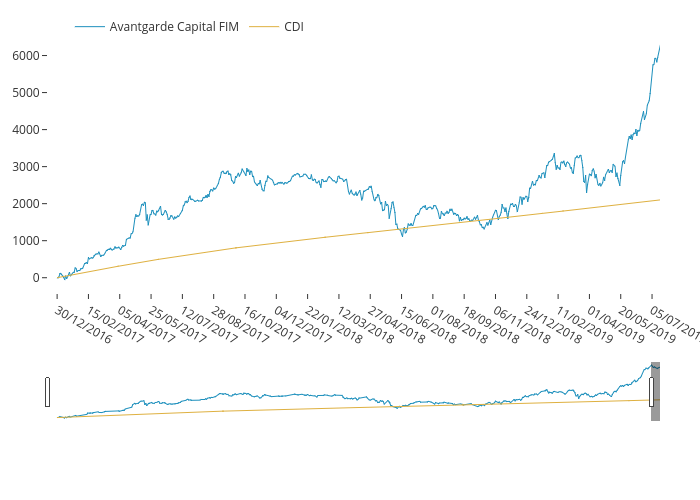 Lucianobfranca's interactive graph and data of "" is a timeseries, showing Avantgarde Capital FIM vs CDI. The x-axis shows values from 0 to 541. The y-axis shows values from -248.66666666666666 to 3544.6666666666665.